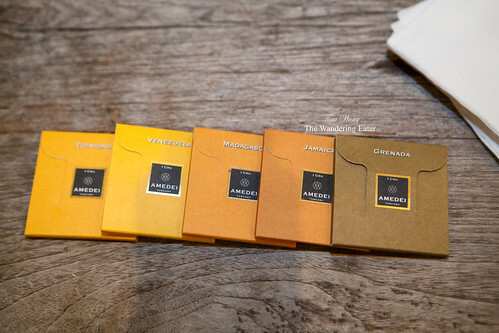 Amedei is a cult, Tuscan chocolate brand founded in 1990 with the head chocolatier, Cecilia Tessieri. Probably a few of you might have come across these rare bars in the U.S. and certainly when you trek your way around Italy. 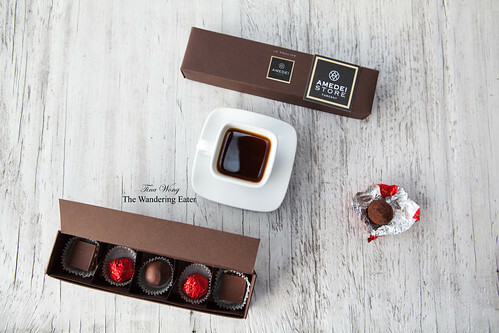 These divine chocolates are something that would make you either speechless or have that moment of delight to and simply say, “Mmm…” Every chocolate bar and praline is made in small batches and every aspect of production is carefully watched and managed by Cecilia. 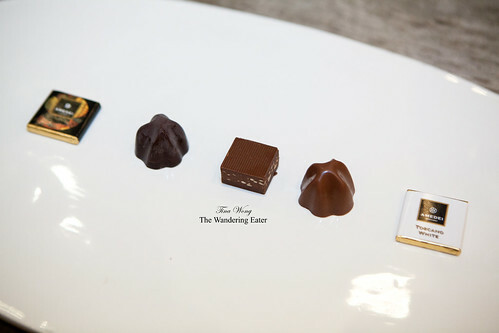 I was excited when I heard Amedei opened a small shop selling their divine chocolates for the past few weeks and I managed to have a brief tasting at their lovely, private tasting room upstairs. Their pralines were not too sweet despite the fact there were finely, sweetened crushed nuts and fruits like cherries or a little kick of rum. Their plain white chocolate bar was actually a very good white chocolate – not waxy and not too sweet like I have tasted from other brands. Their dark chocolate blends were amazing, notably bar 9 that is considered the signature house blends bar of nine different plantations. It was a masterful symphony that I understand why it was considered the most painstaking one to create. Before I have left, I was treated to a demitasse of their Piedmont hazelnuts and almonds finely blended into their hot chocolate. 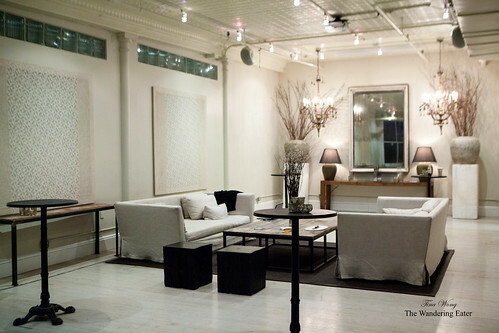 No preservatives, additives or artificial flavorings. Just the true expression of luscious chocolate and the nuts playing nicely in the background. The best part is that hot chocolate is the perfect texture of not being too thin and certainly not thick and cloying. 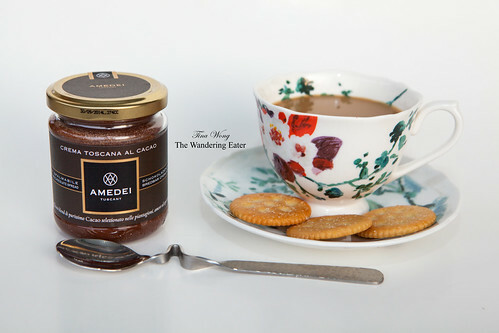 I did pick up a box of Amedei’s sublime praline and a jar or Crema Toscana al Cacao for my luxurious breakfast. I died in chocolate heaven.